In the Know is a monthly partnership between LP Gas magazine and Propane Resources. Our focus this month is on supply and demand, addressed by supply expert Tony Botts. Q: What is the state of the propane industry as we head into the new year? What trends do you see? What challenges and opportunities exist? A: While many are experiencing the rush of the holiday season, propane retailers are entering peak demand season. Compared to years past, October and November have already presented opportunities for propane dealers to move product with early demand. Some of this is thanks to a need for crop drying, with many states well behind last year’s harvest and the five-year harvest completion average. 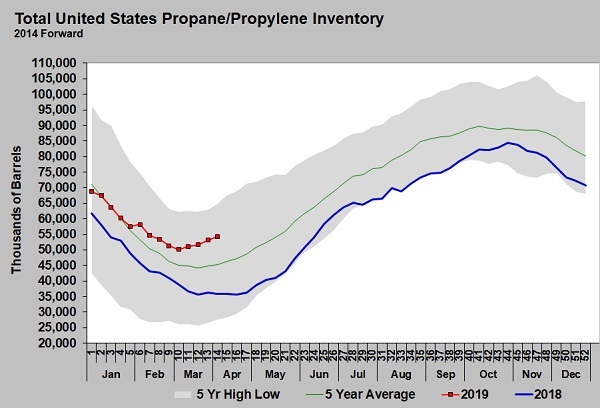 Unfortunately, the early domestic demand we’re seeing may pose some problems down the road, especially considering where inventories sit right now, just shy of 75 million barrels. 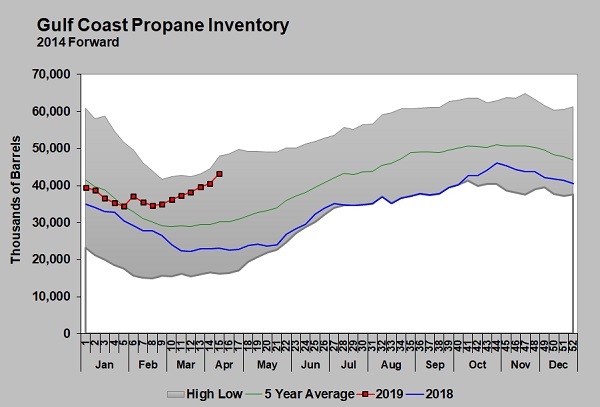 While we entered this heating season nearly 25 percent behind last year’s total inventory, we have yet to see the high volume of exports that were expected to strain supply and the market. As of the Nov. 15 inventory data, exports over a four-week average were just over 900,000 barrels per day (bpd). Last year we saw that export capacities could easily surpass 1 million bpd, with an industry high of 1.3 million bpd reported last December. However, production is currently at an all-time high at over 1.8 million bpd. Despite this, we are left with a razor-thin margin of play between exports, domestic demand and production before we start seeing substantial draws and depleted inventories. 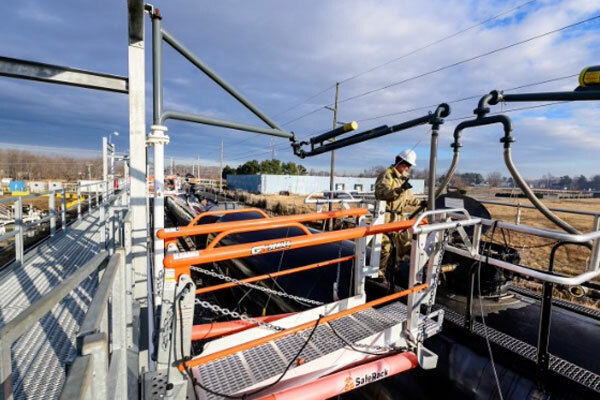 While much of the eastern half of the United States has seen cooler-than-average weather throughout the fall, the winter could potentially drive domestic demand data soaring. Speaking of weather, a vast majority of forecast models are not committing to a bitter cold winter. A severe winter may not be in the best interest of retailers either, simply based on inventory levels. Retailers can breathe a temporary sigh of relief, though. 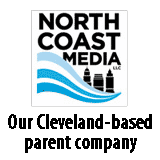 With word that the new Mariner East II pipeline will be delayed until possibly the second quarter of 2018, crucial amounts of winter supply have been freed up to cover domestic retailers’ needs. Product availability has only suffered a few small hiccups as of yet. A brief allocation period settled over the west leg of the MAPCO pipeline, but was lifted a few weeks later. This could foreshadow what is to be expected in the coming months. Supply shortages or excesses may come down to a region-by-region basis, depending on swings of temperature and logistical logjams. Multiple states have already seen hours-of-service restrictions lifted for propane retailers and their transports to keep up with their supply needs. Do not be surprised to see more of the same this winter. For the time being, expect the market and prices to roll with these fluid events and be demand and export dependent. However, once inventories begin to reach seasonably low totals, expect the market to protect itself and be prepared for firm prices. Propane prices in Mont Belvieu and Conway are in line to hit the $1.15-per-gallon range using this scenario. 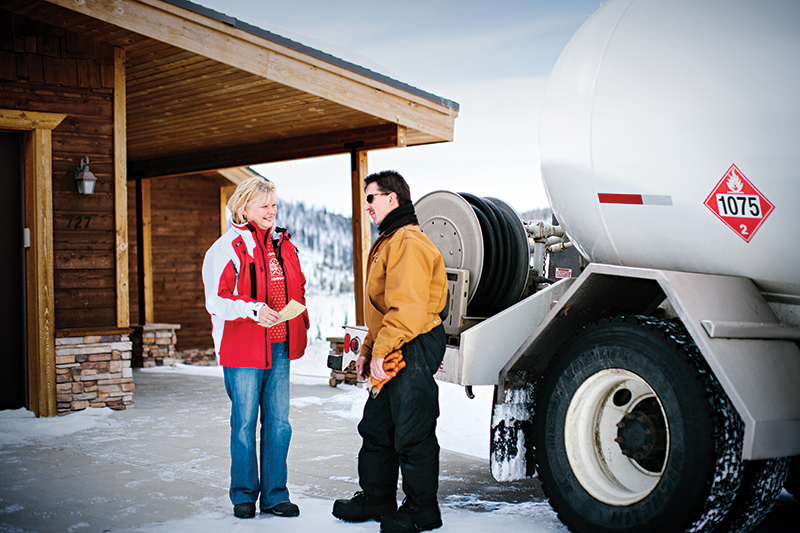 With volatile markets and high chances of unpredictable weather, demand and exports, remember to keep your own tanks full and stress the importance of keeping your customers’ tanks filled as well. Be prepared with enough supply to help you navigate those 15-, 30- and 45-day crisis periods. 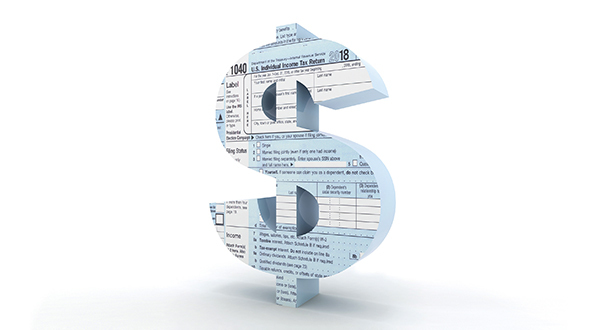 Retailers must afford themselves the opportunity to be flexible with their supply. Whether that means hedging product or simply spreading your pre-buy out to multiple locations or suppliers to increase odds of product availability, give yourself options during tight supply windows. The biggest opportunity for any retailer – no matter the weather, the inventory picture or even demand season – is customer service. Be diligent with your customer service – no matter in what position you may find yourself – and your customers will remember your effort the next time the mercury drops. Be prepared for anything this winter. Have a backup plan for your backup plans. Keep your tanks full and your bobtails ready to deliver. Hopefully, we buck the trend of the past few years and have more favorable winter weather. But, let us all take time to show a bit of caution. Everything comes with a price. Tony Botts is a supply expert at Propane Resources. He can be reached at tony@propaneresources.com or 913-262-0628. 1 Comment on "In the Know: Supply and demand heading into the new year"
Wow, I had no idea that propane was in short demand. “Heating season nearly 25 percent behind last year’s total inventory, we have yet to see the high volume of exports that were expected to strain supply and the market.” I wonder where the prices will go entering 2018. Great article and thanks for sharing.